Our standard range of door panels are manufactured from 316 Marine Grade Stainless Steel but we can supply them in other materials and bespoke designs to meet any customer requirements. All door panels have the same high-quality circuit board and, via installer programming using the free-issue GUI software, can be digital, traditional functional or dial functional. Digital and Functional panels can be used together on the same installation if required e.g. multi-level access systems. There is no theoretical limit to the number of panels you can have on any one system! Any Key Cancel – when DDA Auto-Call is activated the call can be cancelled by pressing ANY button on the panel NOT JUST THE CANCEL button – this provides even easier use for sight-impaired/blind users as they do not have to find the “Cancel” key to stop the call. 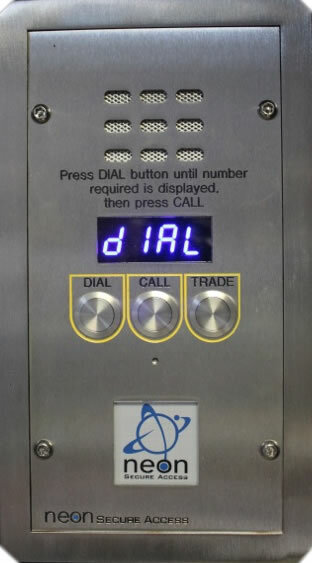 High visibility LED display provides information on when the flat is being called, when call is answered, when door is unlocked, when phone is switched off, and many other messages to assist in user operation. 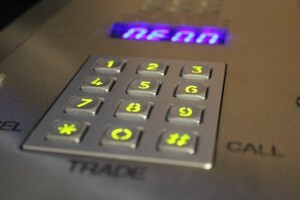 The Neon functional panel can be supplied in sizes up to 15 flats plus a “trades” button. 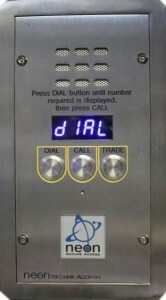 For full call progress information and user reassurance, the panel is supplied with a 4 digit, high-visibility, Blue L.E.D. display as standard. The panel features 20mm stainless steel mechanical buttons with replaceable micro-switch (see full spec under Dig. Panel with 20mm buttons), alternatively the panel can be supplied with pressure sensitive buttons if required. This panel type is a Neon innovation that takes away the “bespoke” nature of functional panels for the first time in this market place. It has been installed in over 100 properties for many different customers and is proving to be our customers panel of choice for blocks with up to 8 flats. The installer programs the panel during installation with up to 15 flat numbers using the free GUI Software. To see how easy it is to use take a look at this short video. Installers and end users benefit as this panel is always available for immediate delivery, no waiting for specific flat numbers to be engraved onto the panel or buttons. As with all our panels using 20mm round buttons you have the choice of standard or Pressure Sensitive buttons. 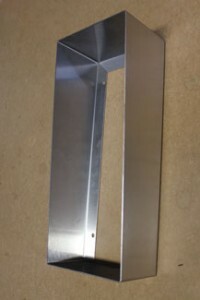 Surface Housings – if you require a surface mounted panel instead of the standard flush-mount we manufacture surface housings in 316 marine grade stainless to enable this.